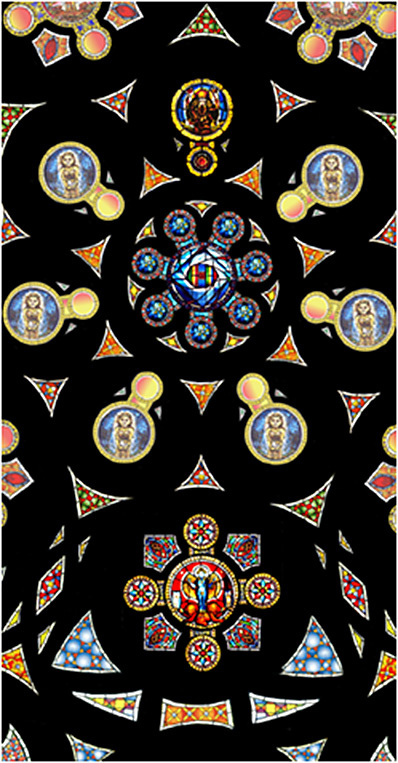 Sample glass pieces for the digital rose window were made based upon images from relevant cultural traditions. 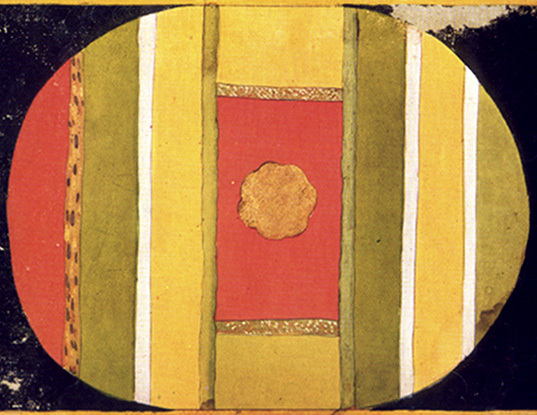 This 18th century Kalighat gouache (left) was used as inspiration for the glass but with a white face. 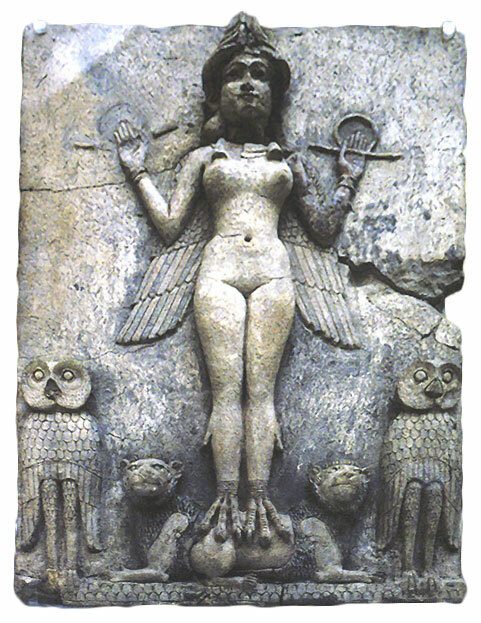 Lilith was based on an ancient clay relief made in Babylon 2000 years BC and probably celebrating the Sumerian goddess Ishtar (left). 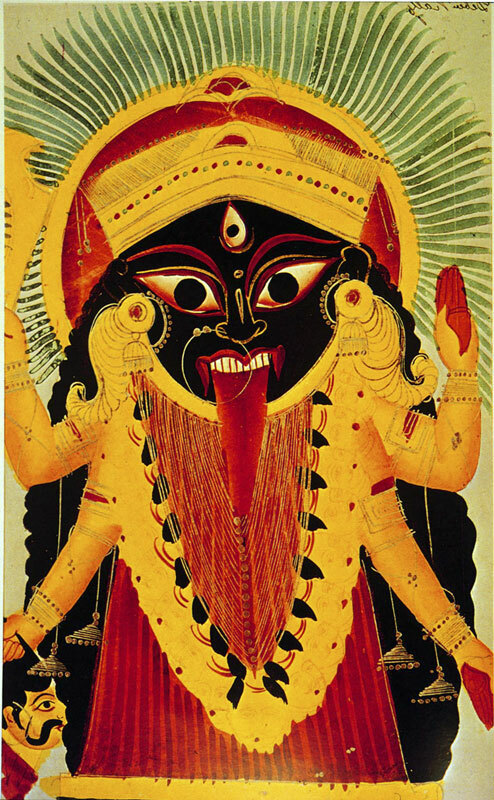 She was purchased by the British Museum where she is now known as ‘Queen of the Night’. The image was adjusted in Photoshop to create the Heroine shape. 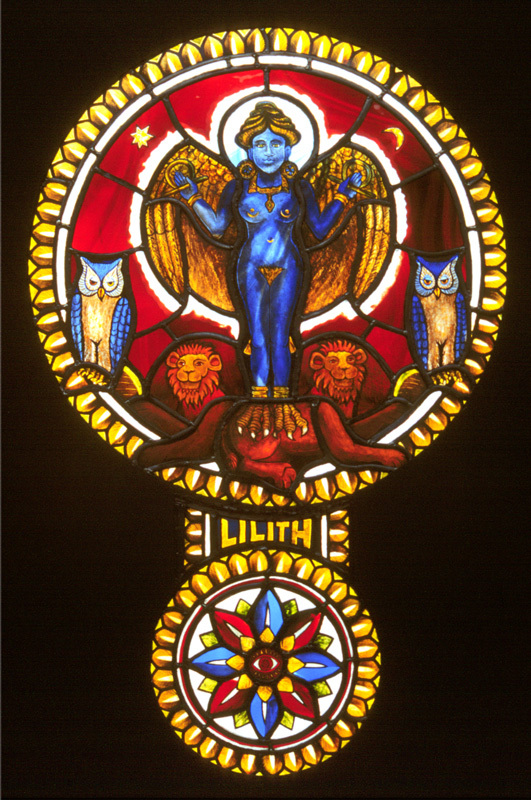 LILITH 2 – Spirit of Instinctual Wisdom (1998) (right). 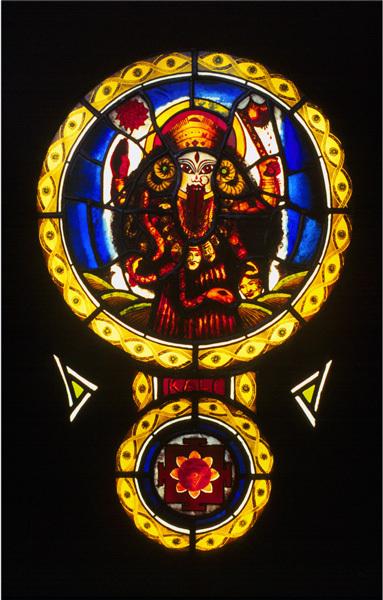 Leaded glass panel with stained, etched, sandblasted, enamelled and painted details (85cm x 135cm). 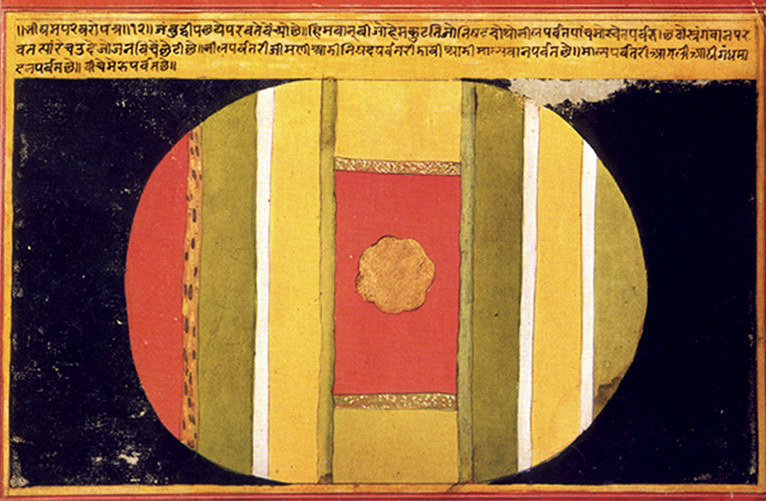 The central image of the Cosmic Egg is based on the Tantric Hindu tradition where it is of matter before it becomes form, floating in chaos before the beginning of time. In many cultures eggs symbolise the fertility and female creativity (left). 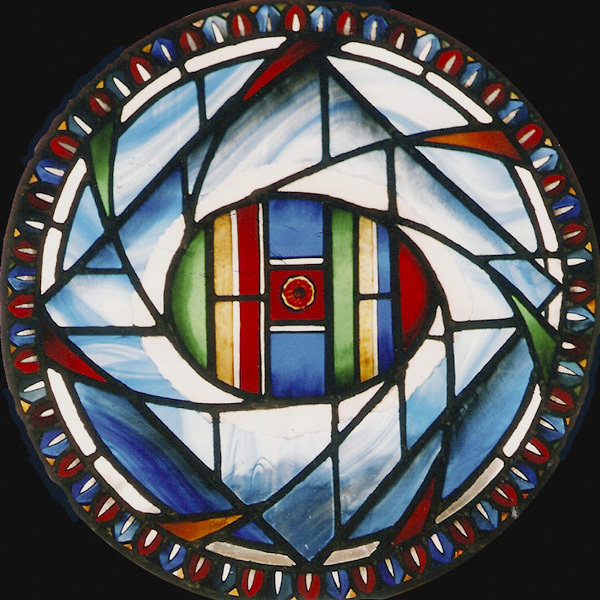 Cosmic Egg (2004) (right) – Leaded glass panel with stained, etched, sandblasted, and painted details (85cm diameter). When the panels are inserted into the digital design (left) they give a sense of the scale of the whole. 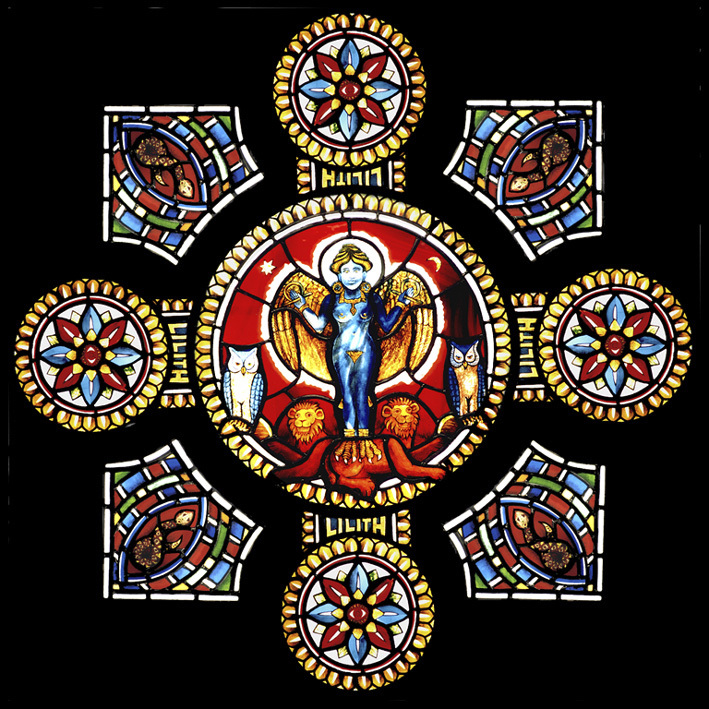 It is possible to imagine the grandeur of the whole design once it is seen on the scale of the medieval windows that inspire it (approx. 15 metres in diameter). 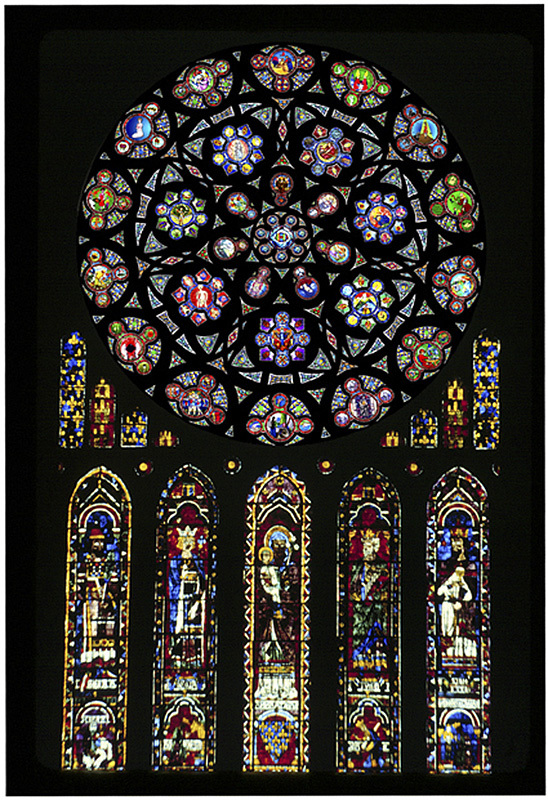 The image (left) substitutes the finished digital rose for the great North Rose of Chartres Cathedral (right) in order to make the comparison clear. 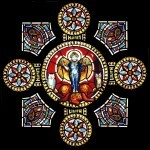 This is not to say that it in anyway could be seen as equal in power to the beauty of the original medieval glass.